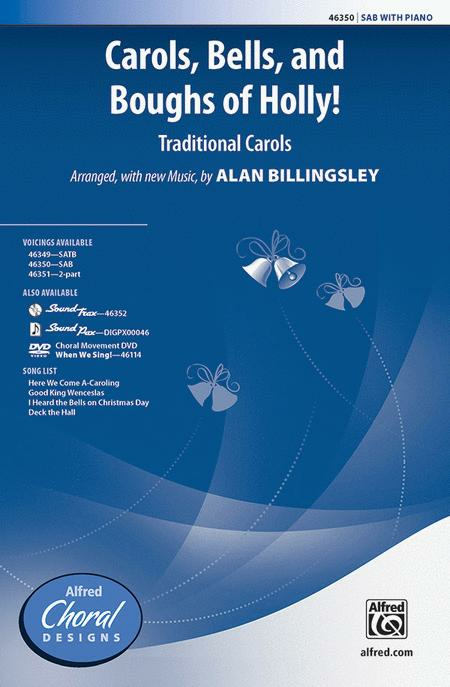 Sheet music: Carols, Bells, and Boughs of Holly! This fast paced mini-medley is overflowing with holiday merriment! From the rollicking "Here We Come A-Caroling" and regal "Good King Wenceslas" to the sweet ballad treatment of "I Heard the Bells" and rhythm-charged "Deck the Hall," it's three-and-a-half minutes of Christmas cheer. Don't miss the SoundPax and SoundTrax CD, complete with all the bells and whistles. Consider adding choreography (from the When We Sing! DVD) for a glittering star atop the tree.